The list above includes all those who have emerged in the polls with one percent or more of vote intentions by June 2014. Mustapha Kamel Ennabli, Kalthoum Kennou and may be Abdelrahim Zouari have also expressed interest to join the race. Most of those listed above belong to political parties and currently have a Machine that will be working for them in the upcoming 3 months. It is something to collect 10,000 signatures but it still quite impossible to emerge as a serious candidate and win if you do not have the infrastructure allowing you to have a national campaign. If you look at the numbers. and consider that we will have a 60% participation rate at the presidential elections, the total number of voters would be 3 millions. Therefore The next president will need 1.5 Million votes to win. In order to secure a passage to the 2nd round we can assume that you will need at least 15% of the votes which would be between 500,000 and 750,000 votes. Those who would have a machine capable of bringing this number of votes will likely be able to prove it in the parliamentary elections. According to all the published polls, it seems that only Ennahda and Nidaa Tounes will be able to easily mobilize this number of votes. 1- Ennahda does not seem to have made its decision on which candidate they are going to endorse. If they do not openly support their own Jebali, then candidates such as Chebbi, Marzouki and Ben Jaafar, who have been courting Ennahda's constituency might add a certain number of votes. 2- The second factor will be the influence of RCD sentiment. The anti-sentiment might boost the scores of the anti-troika, anti RCD candidates such as Hamma Hammami, Kalthoum Kannou or Mustapha Kemal Nabli, The pro-sentiment might come as a surprise and enhance the chances of Kemal Morjane or to a lesser extent those of Abderrahim Zouari. In all cases, I believe that this sentiment will play a bigger role in the 2nd round of the elections. 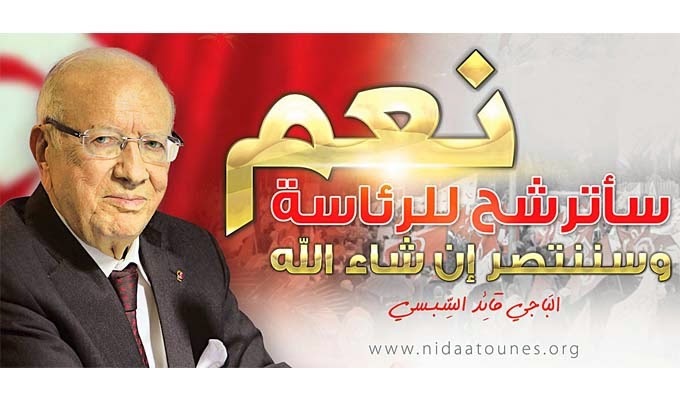 So, the scenario that is likely to occur, in my opinion, is Beji Caied Essebsi against an Ennahda backed candidate. Knowing Ennahda's anti presidential culture (and also its inability to gather the needed 1.5 million votes for a candidate from its own constituency), the candidate is likely to be the one whose party gathers the most votes in the parliamentary election and who is willing to form an alliance in the future parliament (PDP, Ettakatol, or CPR). This endorsement will allow Ennahda to appear again as a non totalitarian, pro-democracy party. The winner of the parliamentary elections will also be branded as the consensus candidate in order to give him a larger credibility. However, I doubt Chebbi, Marzouki, or Ben Jaafar will be able to win against BCE as the troika's credibility has been eroded. Another scenario could be one in which Chebbi, Marzouki, and Ben Jaafar have disappointing scores, killing all chances to form a coalition in the parliament. In this case, Ennahda could decide to back Jebali in order to offer the presidential elections to BCE in a hope to ease future tension and offer a hand to Nidaa in order to form a future national unity government. But what makes you think that Ennahda cannot gather 1.5 million votes :)? Ennahda gathered 1.5 million in 2011. My assumption is that it won't be able to gather them again because the voters will sanction it for its disastrous mandate.